the head with its hard beak. 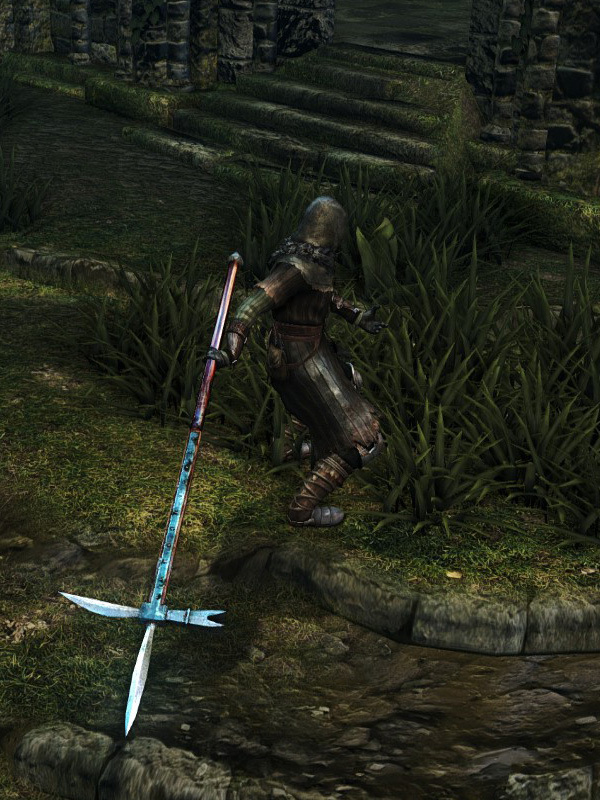 Like all Halberds, if the attack doesn't connect with an enemy, the user will stumble and seem to not be able to handle the weight. If the hit connects, the stumble animation does not come into play and the user moves as normal. Since all of this weapon's attacks count as thrust/piercing damage, it's much easier to score a Counter hit with this weapon. Equip Leo Ring for maximum efficiency.